3D printable human foetus, VRML format for full color prints. 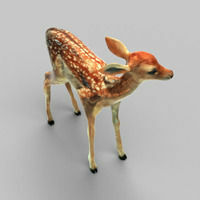 Realistic Proportions, 3D Scanned from real animal cast. Detailed model, as described. Instant feedback from the author.